The debate continues to rage on whether poker qualifies as a sport or not. While that’s an argument unlikely to ever be fully resolved, there’s something external to the game itself that would make poker much more sports-like: a thriving poker collectibles side industry. 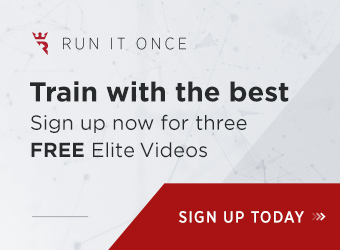 With so many millions of people playing the game around the world and watching the professional players on TV, it stands to reason that every true fan of the game would be quite happy to “own a piece of it”. Baseball is full of collector merchandise like player cards, bats, uniforms, gloves, and much, much more. So too, poker has plenty of paraphernalia which would have collector value if authenticated and/or signed by the right players. 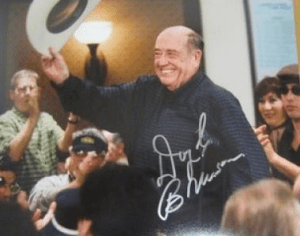 For instance, could you imagine being the owner of the fabled 10 and 2 from the deck Doyle Brunson won one of his WSOP Championship bracelets with? 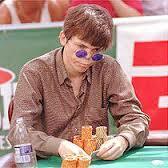 How about if you were able to obtain the sunglasses Stu Ungar wore while winning his third and final WSOP Championship bracelet in the only Main Event final table ever contested outdoors? 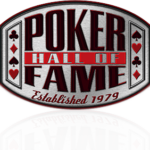 Perhaps if poker had a physical Hall of Fame full of memorabilia, then each item’s potential collector value would increase? The WSOP awards bracelets to players who have won sanctioned tournaments. It’s one of the top 10 poker achievements a player can have. Thus, strictly speaking, the only way to “collect” WSOP bracelets would be to win them. 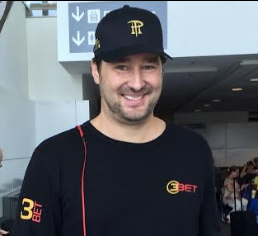 Ostensibly then, Phil Hellmuth would have the largest WSOP bracelet collection, currently at 13. That said, in recent years, it’s become possible for any poker fan to collect a WSOP bracelet even without winning an event, via eBay auction. That’s why this is somewhat of a bittersweet inclusion on my list of poker collectibles. The bracelets of some very well-known poker players, like T.J. Cloutier, have been auctioned off in the past. Even the ultra-rare WSOP Main Event championship bracelets of Jamie Gold and Jerry Yang have gone on the auction block to the highest bidder. At least when 2008 champion Peter Eastgate auctioned off his bracelet, the proceeds were donated to charity. In any event, for the poker collector with a good amount of spare cash (and the inability to win one on his/her own), a WSOP bracelet could be yours for the right price. 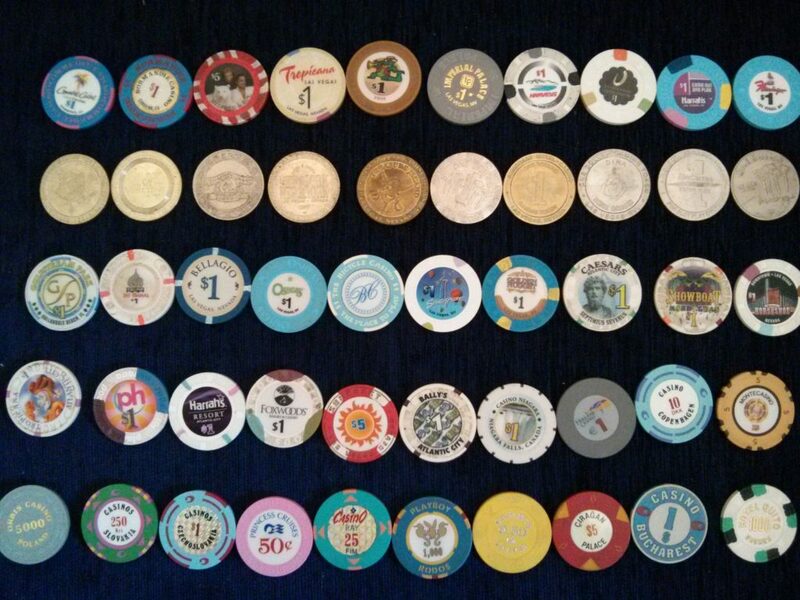 My Dad not only taught me how to play poker, he also started me off on collecting poker chips from around the world. 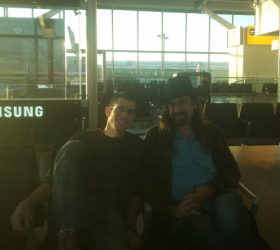 Some people collect pins, spoons, or stamps while traveling; poker players collect chips. Notably, poker chips are among the most inexpensive type of collectible, as you can just amass the lowest value chips from each poker room you visit. High rollers, for whom collecting $1 poker chips probably doesn’t generate too much excitement, you can always collect those beautiful high value plaques they play poker with in Europe and Australia. 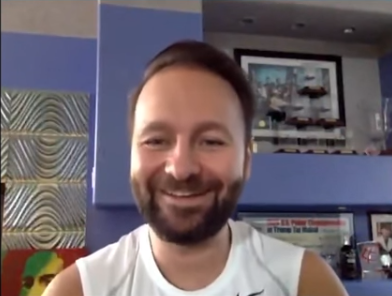 The celebrity and notoriety of a few select poker players, like Doyle Brunson, Chris Moneymaker, and Daniel Negreanu for instance, transcends the game of poker itself into mainstream consciousness. That makes signed, framed photos of them valuable, and excellent poker collectibles. Such items often fetch anywhere from 2–4 figures, depending on the player. If you’re looking to collect items like these, be sure they come with a certificate of authenticity from a reliable agency like the JSA. 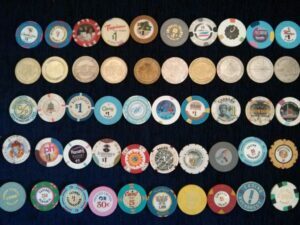 Though not exactly poker collectibles, opponents’ poker chips are something every single poker player on earth strives to collect. Whether playing for cash or in a tournament, the name of the game in poker is to get all your opponents’ chips into your own pile. Naturally, in a ring game you eventually cash out your chips while in a tournament you either collect them all and win or bust out without a single chip left to your name. 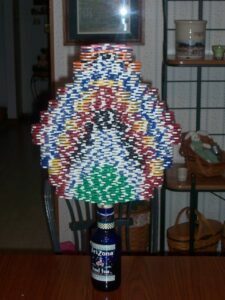 Either way, these types of poker chip collections are fleeting, so at the very least you could try to build a nice-looking stack and take a memorable picture of it. Not the typical poker collectible, as they aren’t “physical items”, poker notes are probably among the most valuable things a poker player can ever collect. If you’ve spotted a tell against a particularly tough opponent, making a poker note on it is likely to either save or make you extra money somewhere down the line if you face them again. 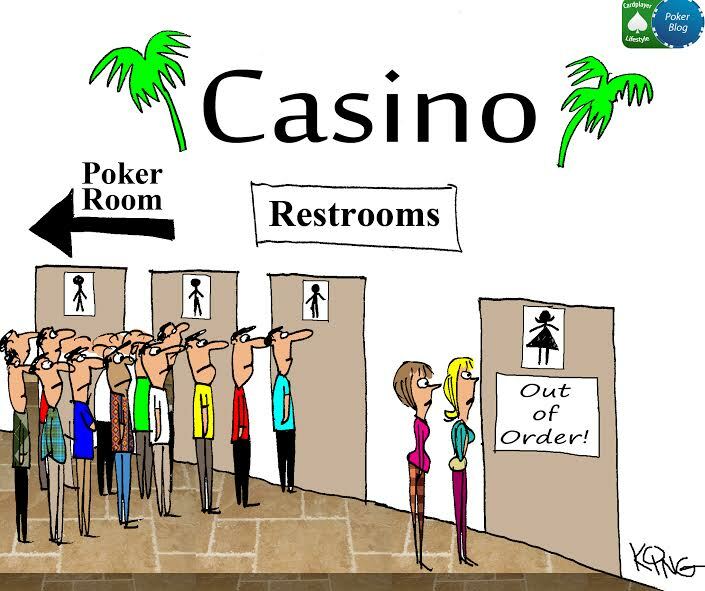 As longtime readers of this poker blog know, I’m a big advocate of taking poker notes both live and online. 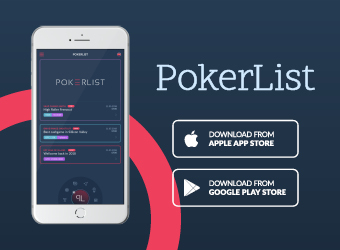 Collect as much information as you can about all of your opponents and if you’re playing live poker, be sure to use the Poker Notes Live app to store all your valuable information. 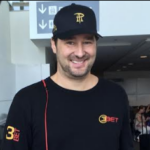 If you frequent Las Vegas, Los Angeles, London, or any of the other great poker hubs of the world, especially when big poker tournament series’ roll into town, you’ve got a good shot at encountering a well-known professional poker player. 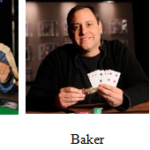 While signed, official poker pictures definitely have market value, a picture of you and your favorite poker celebrity has far more personal value. With plenty of “name” poker players out there on the tournament circuit or grinding away at the cash tables, it never hurts to have your camera or mobile phone at the ready to snap a quick shot. At the very least, you’ll capture a great memory. 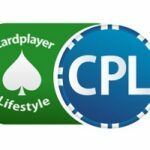 More aggressive poker fans will further enhance their collections. 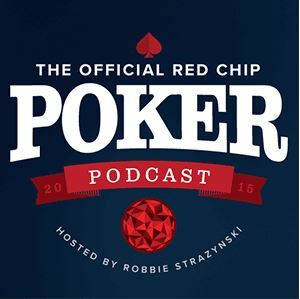 The luckiest poker fans might happen upon hard-to-catch poker celebrities and snap a great, valuable (collectible?) picture. 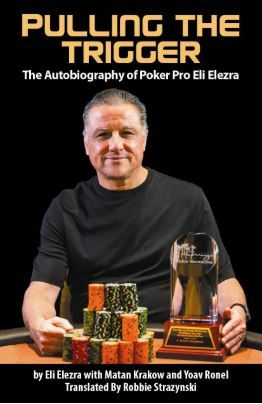 While the poker player who takes his/her game seriously should collect poker books and poker magazines anyhow, so as to improve their game, having a copy of a poker book signed by the author makes it a collectible. The same goes for a poker magazine where the player featured on the cover has signed it. 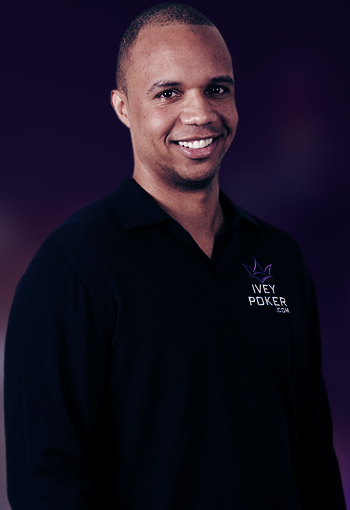 The very talented Lee Davy recently wrote up a great post on the 8 poker books every modern player should read and own. 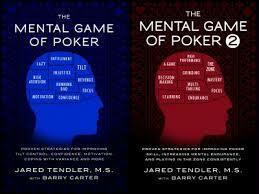 Making his list was Jared Tendler and Barry Carter’s The Mental Game of Poker, which just so happens to be my favorite poker book. I’ve also been a proud subscriber to Card Player magazine for the better part of 4 years. I hope to meet Carter and Tendler one day, and of course it’s always a thrill to meet a poker player famous enough to make the cover of the industry’s premiere magazine. To have any of my poker books or magazines signed would make them that much more special to me. I have yet to hear of any WSOP Circuit event winners selling rings so, like #2 on this list then, the only way to collect WSOP Circuit rings is by winning prestigious poker tournaments. The largest current collection of WSOP Circuit rings is held by Chris Reslock, who has 7. While WSOP bracelets are undoubtedly the gaudier and more important type of collectible poker jewelry, there’s something pretty darn cool about winning rings, as it parallels how major league sports stars (in the NBA and NFL for example) measure their own success. Just to illustrate, check out the picture of Bill Russell and his 11 NBA championship rings as compared to Ari Engel and his 6 WSOP Circuit rings. Pretty cool, eh? Twitter followers are only a “virtual” collectible, but for the social media-minded poker fan, getting important people in poker to follow you is a way to truly feel like you’re a part of the greater poker community. 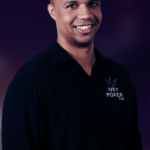 Obviously, you’d have to give poker players and organizations a reason to follow you on Twitter, so you not only have to have an account, but you have to put out interesting tweets or at the very least be active on the social network in a “pokery” way. 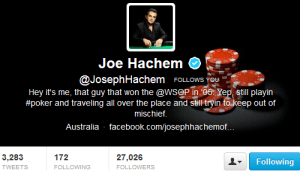 I count myself extremely grateful, lucky, and honored to be followed on Twitter by poker luminaries such as 2005 WSOP Main Event champion Joe Hachem, ESPN Poker writer Bernard Lee, and Head of Online Poker at WSOP.com Bill Rini, among many other “poker people” and poker organizations. Like any collectible, there are some Twitter followers that are extremely hard to get. 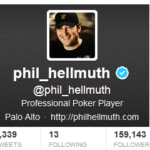 The holy grail in this case then would be getting a follow from Phil Hellmuth, who only follows 13 people on Twitter. What do you think of our list of the top 10 poker collectibles? Are there any other types of poker collectibles you think should’ve made the list? Let us know in the comments section below or on our Facebook page.